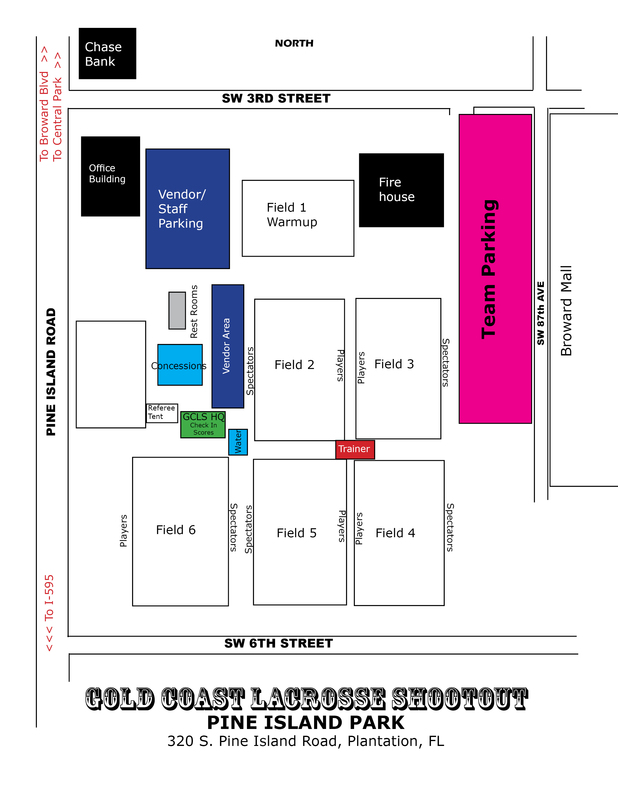 Gold Coast FALL Shootout | Broward Lacrosse Advantage, Inc. Welcome to the Gold Coast Lacrosse Shootout. 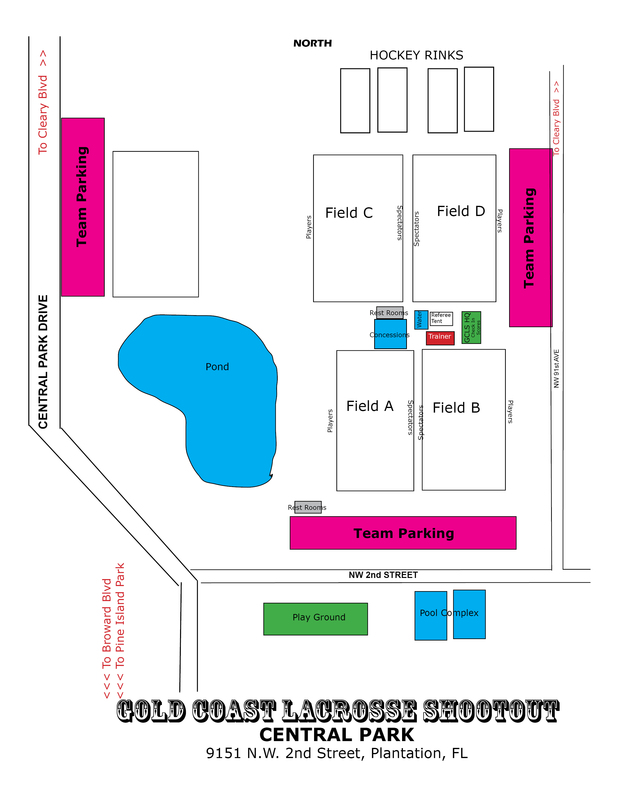 We are a high quality tournament played on high quality fields against great competition. The number participating teams has grown tremendously in 7 years. We expect over 70 teams this year and we will sell out at some divisions this year. Register early to reserve your spot. There are seven lighted fields, a playground, a concession stand, a picnic pavilion and restrooms within this park. 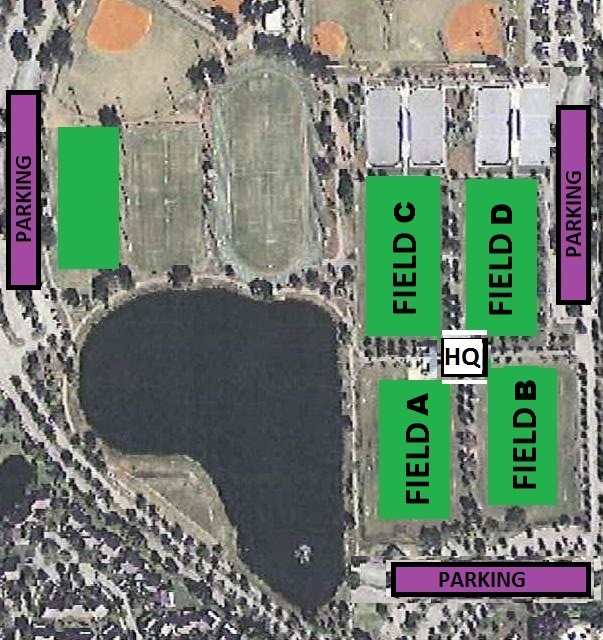 The park is located near the Broward Mall, just south of the Broward Boulevard and Pine Island Road intersection and north of I 595. Protected by Thor Guard Lightning System. There are five lighted fields, a playground, a concession stand, a picnic pavilion and restrooms within this park. The park is located approximately 1 mile from Pine Island Park, just north of Broward Boulevard and west of Pine Island Road. Protected by Thor Guard Lightning System. Exit to Pine Island North. Turn left at Broward Blvd (light). Turn right on Central Park Drive (across from Jacaranda). Take 1st right into park. Exit to Central Park Drive and turn left towards Broward Blvd. Turn left on Broward Blvd. Turn right on Pine Island Road. Turn left on SW 3rd St. 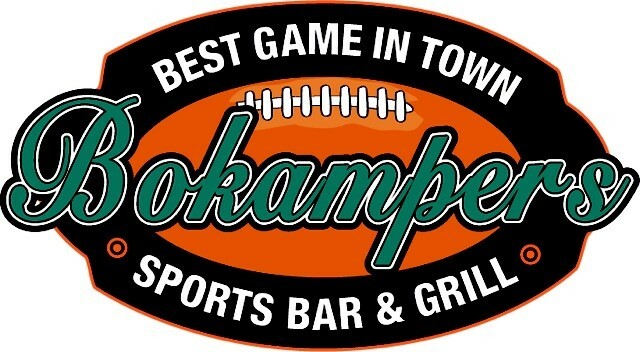 This event is a US Lacrosse Nationals Sanctioned Qualifier Event for both BOYS AND GIRLS. 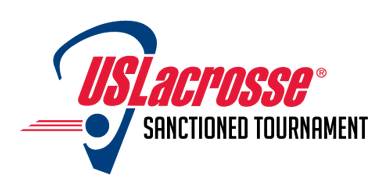 Teams competing in the top competitive divisions will accrue points and all points earned at this event will count towards qualification for the 2020 US Lacrosse Nationals. The 2020 US Lacrosse Nationals will cap off the 2019 event season with a championship for the 14U & 13U Boy’s and Girl’s Divisions. For additional information visit ww.uslacrosse.org/events/nationals. 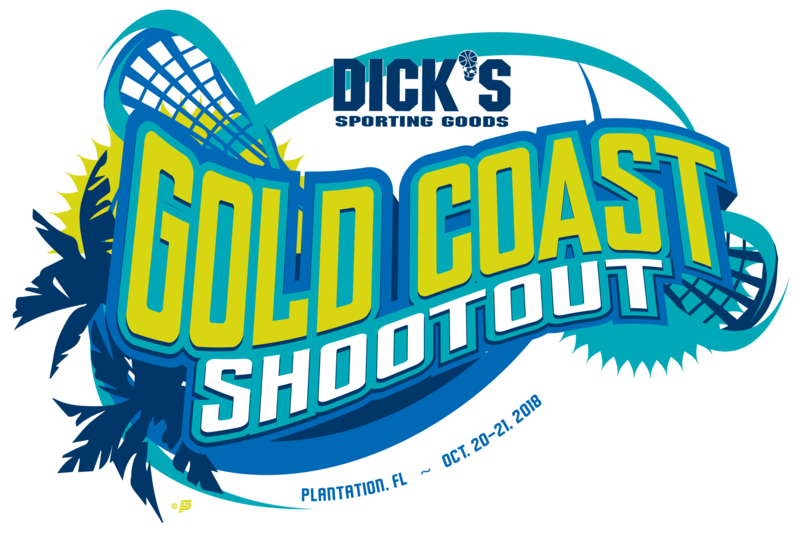 The Official Sporting Goods Retailer of the Gold Coast Lacrosse Shootout will have GCLS Shop Day at the Plantation location on October 19-21 ONLY for 20% off THE ENTIRE STORE (Some restrictions). Players can also pick up a discount sheet w/ 10% off coupons that are good for a longer time but cannot be used with the special SHOP DAY coupon. The registration fee is $1,150 for 1-2 teams, $1,095 for 3-6 teams, $1,025 for 7 or more teams. $500 Deposit per team due upon registration, balance due October 10. Late fee $150 after October 10. The deadline for team roster is Wednesday, October 17. The deadline for player waivers is Friday Oct 19 at noon. Our tournament hotel room blocks can be found HERE. Schedules are completed and will be are posted on the TOURNAMENT SCHEDULES page approximately 1-2 weeks prior to the tournament. It is always good to check this site on Friday eve to make sure you have current schedules. Any changes will be noted on the schedules page in the notes area. All schedule and score updates will be visible on Tourney Machine on your phone. You can also follow your team and receive tournament updates (score postings, schedule changes and news) via text and email. Roster form will need to be submitted via email no later than Wednesday, October 17. We will be using a new waiver system called SPORT ID. The system will be up and running by 10/15. Player waivers are to be completed online by each participant by following the link below. WAIVERS SHOULD NOT BE COMPLETED UNTIL A TEAM HAS REGISTERED. The link will guide participants to create a login account and complete the form. Player who have completed their waivers will appear on the team roster on the site. All players must be current US Lacrosse members. The waiver process will verify that. 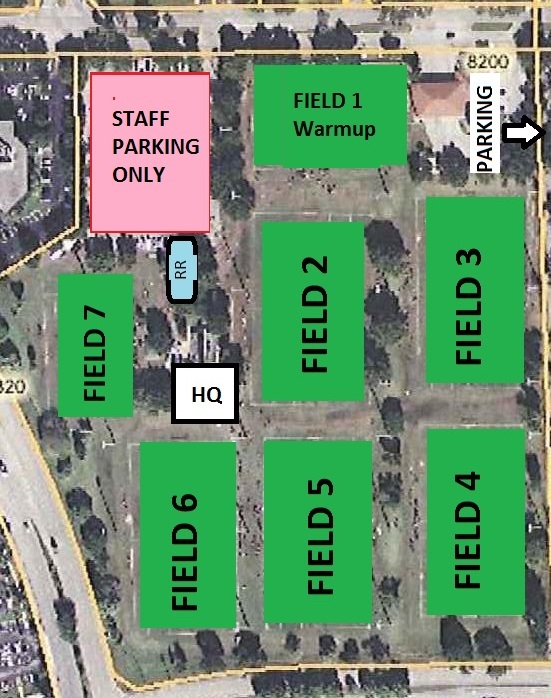 The Gold Coast Lacrosse Shootout is organized and run by BROWARD LACROSSE ADVANTAGE, INC., owned and operated by Pete & Carmen Dunne, long time player, coach and supporters of youth lacrosse in the state of Florida. We are excited to provide this great tournament with the assistance of and in the beautiful city of Plantation Florida and the support and blessing of US Lacrosse. The facilities are great and the weather can't be beat. We look forward to the competition. To learn more about Broward Lacrosse Advantage and the programs we offer visit the MAIN PAGE of this website. To learn more about Pete visit the ABOUT US page of this website.